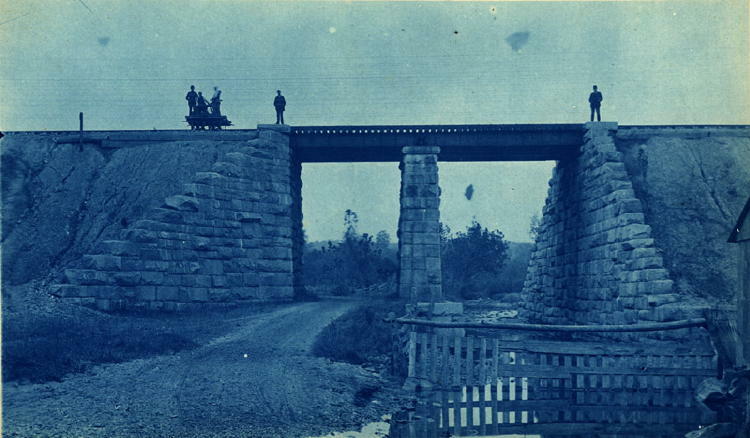 In March, 1891 a small group of B&O Railroad employees set out from Baltimore riding on a railroad hand cart to inspect and photograph bridges and stations along the recently completed 111-mile Philadelphia Division linking Baltimore and Philadelphia. 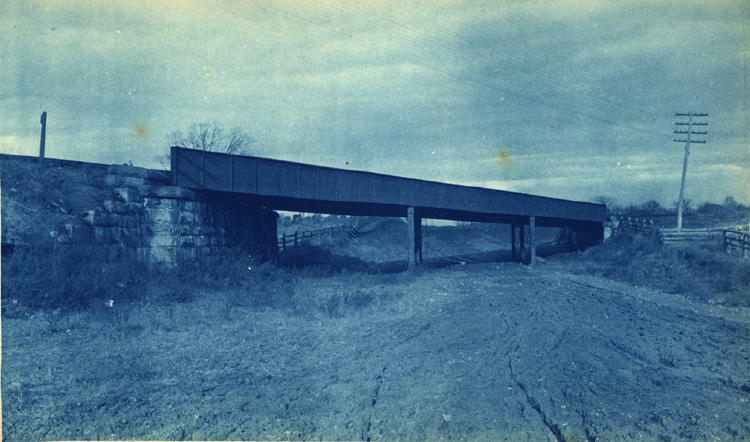 Under the supervision of Division Engineer Maintenance-of-Way William A. Pratt and Foreman of Bridges and Buildings George W. Andrews, the group photographed 78 bridges and culverts spanning rivers, creeks, runs, and roads in Maryland, Delaware and Pennsylvania, and 37 of the nearly 70 stations along the line. 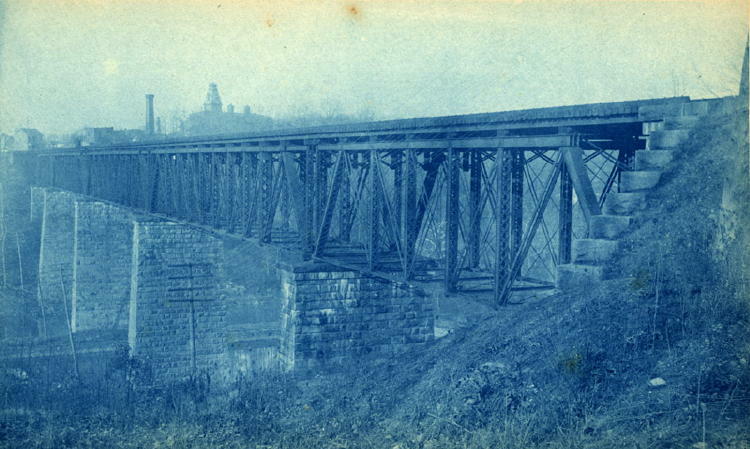 The resulting album containing 129 cyanotype photographs depicts a variety of late 19th-century railroad architecture and engineering works. 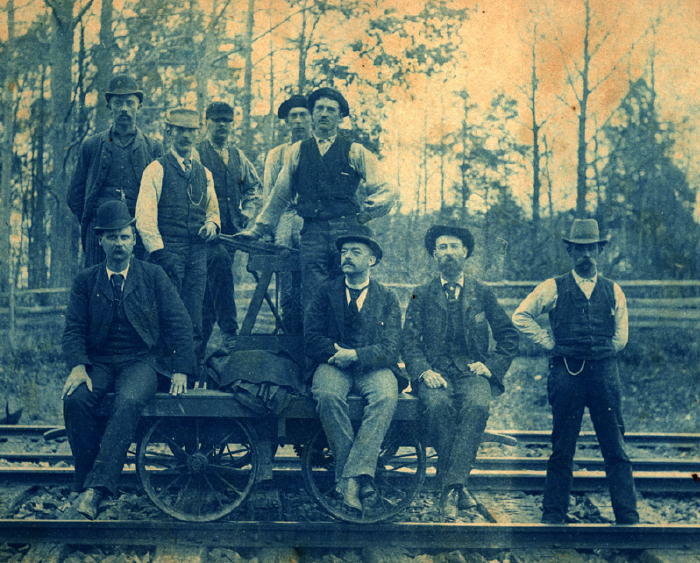 B&O survey team posed with the hand cart. 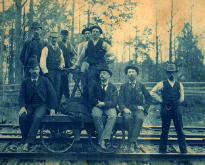 The front row from left to right includes George W. Andrews, Foreman of Bridges and Buildings; Dr. Robb, Medical Examiner; William Pratt, Division Engineer Maintenance-of-Way; and P.G. McNamee, Section Foreman. 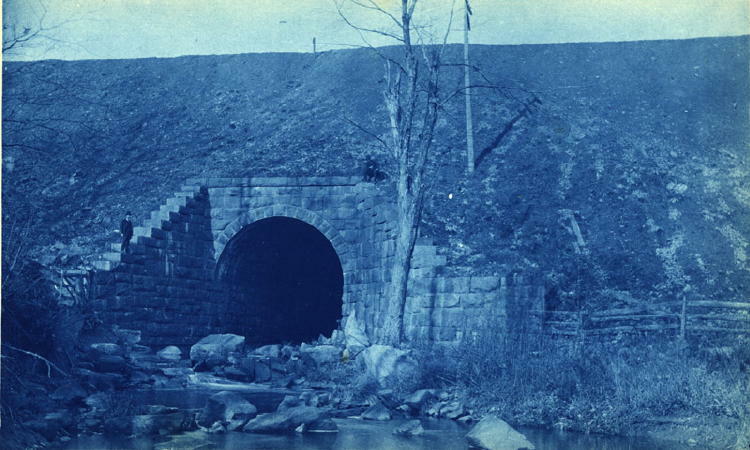 The B&O album documents several common types of railroad bridges and culverts used to span waterways and roadways along the Philadelphia Division. 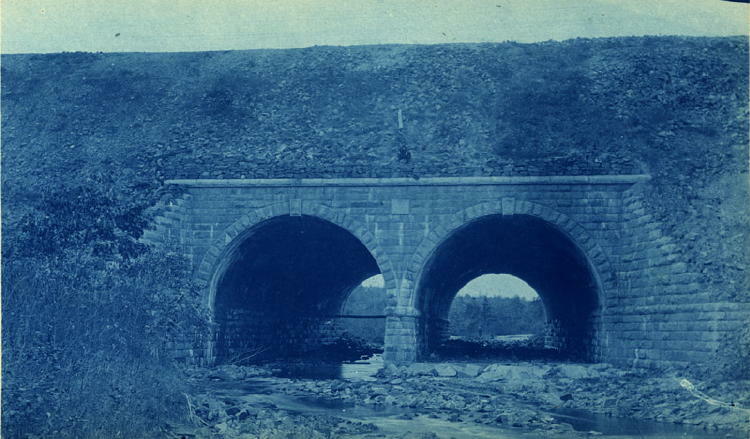 The photographs depict almost 30 truss bridges (including both through truss and deck truss bridges); more than 20 girder bridges (including both pony plate girders and deck plate girders); and over two dozen stone arch culverts including two double arched culverts. 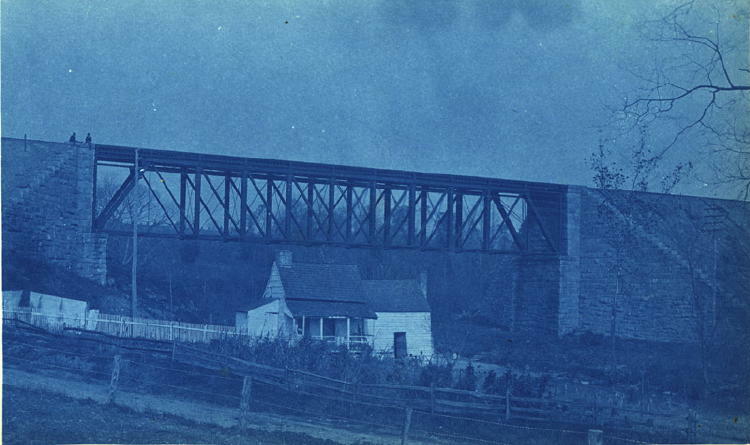 Below is a sampling of images illustrating the variety of bridges depicted. 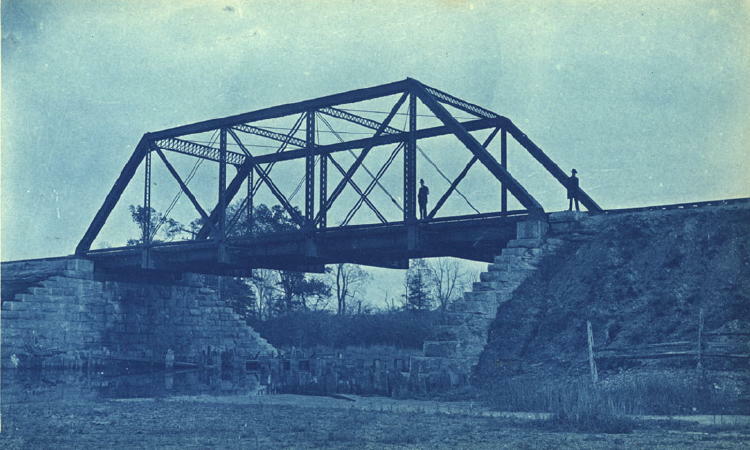 The single track Pratt truss bridge over the Brandywine River, known as Augustine Bridge, was built 1883-5 on five granite masonry piers by B&O contractors Andrews & Locke of Baltimore. 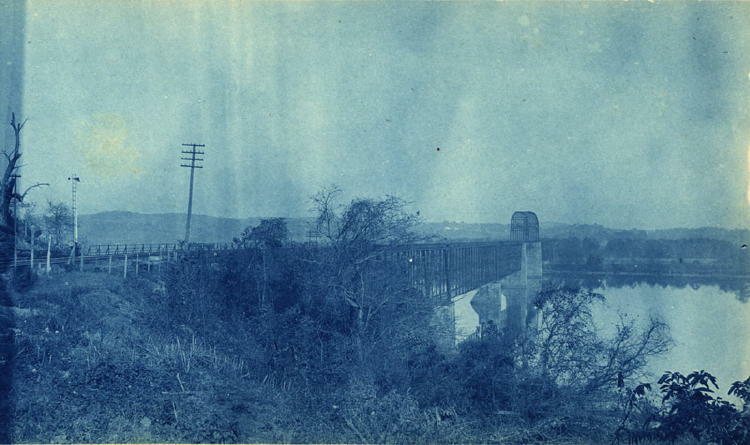 Right: Augustine Bridge over the Brandywine River in Wilmington. 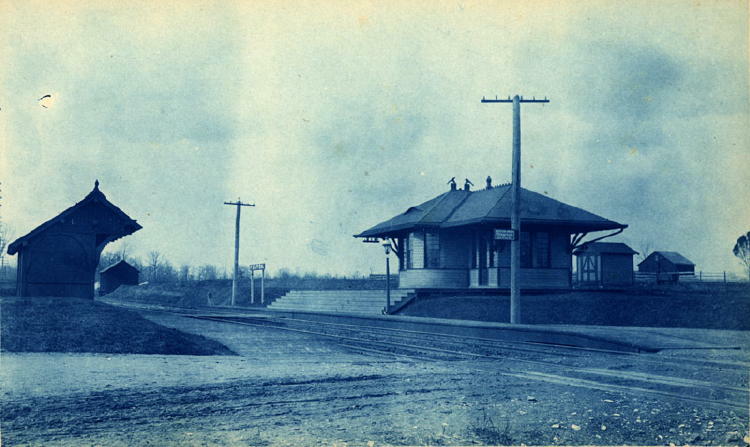 Railroad companies regularly used identical designs for small railroad stations in different locations. 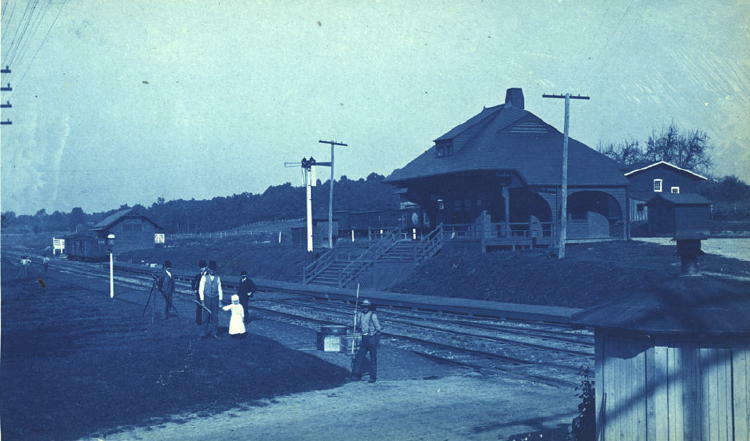 The B&O album effectively illustrates the repetitive use of architectural designs depicting eight designs for stations which were used in two or more locations including one design which appeared in five different locations along the line. Below are images of the eight common designs with a list of stations illustrated in the album utilizing the identical design followed by the album page number. Stepney Station (26); Carpenter Station (81); Twin Oaks Station (86); Holmes Station (104); and Llanwellyn Station (104). 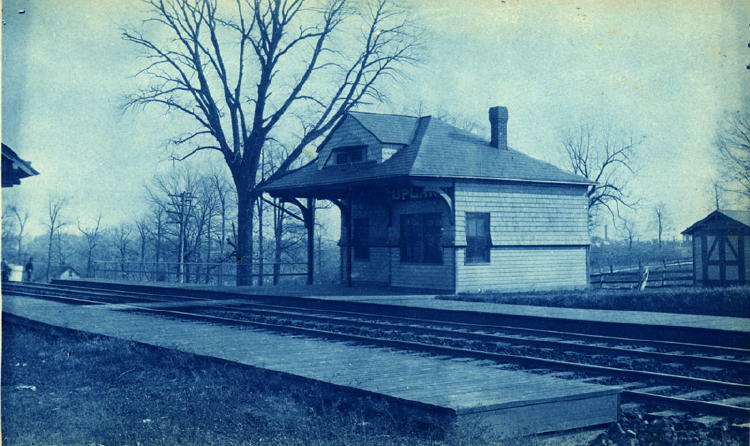 Ridley Station (99); Collingdale Station (106); Boone Station (108); and Sixtieth Street Station (116). Bradshaw Station (16); Leslie Station (41); Childs Station (47); and Kiamensi Station (62). 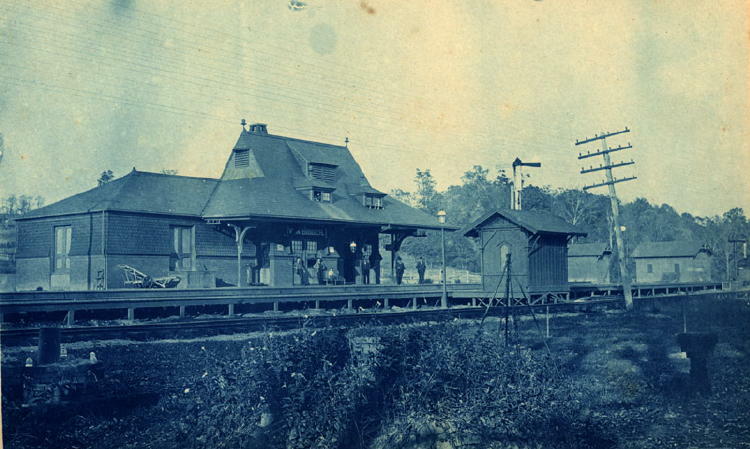 Harford Station (21); Aiken Station (35); Baldwin Station (51); and Upland Station (89). Carrcroft Station (78); Darby Station (110); and Folsom Station (100). Cowenton Station (18) and Aberdeen Station (28). 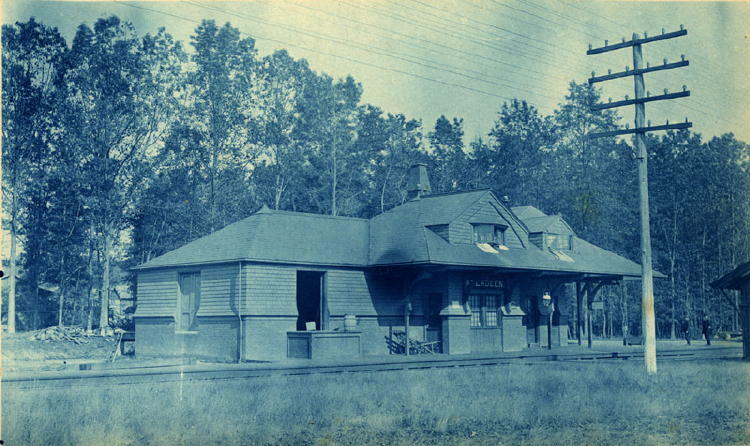 Boothwyn Station (84); Felton Station (87). 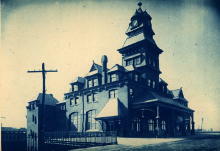 The album also depicts three unique, urban railroad stations designed for the B&O by Philadelphia architect Frank Furness (1839-1912). 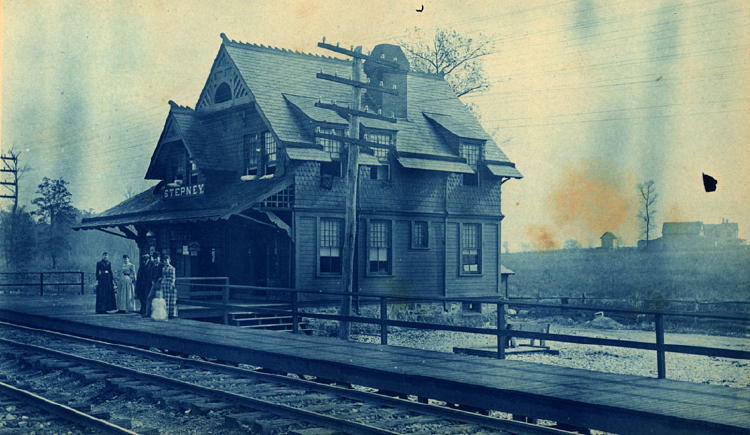 Popular with Pennsylvania railroad companies, Furness designed stations, towers, and ferryboats for two other railroads receiving 37 commissions from the Reading Railroad and 16 commissions from the Pennsylvania Railroad. 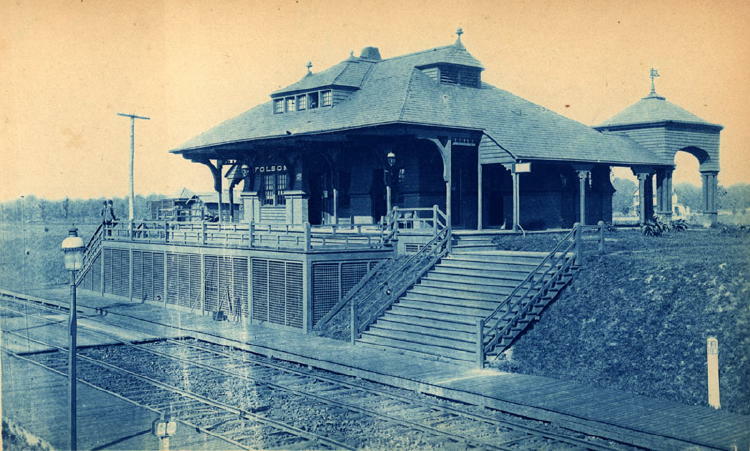 The B&O album depicts Philadelphia Terminal of the B&O located at 24th and Chestnut streets and the Water Street and Delaware Avenue Stations in Wilmington, Delaware. 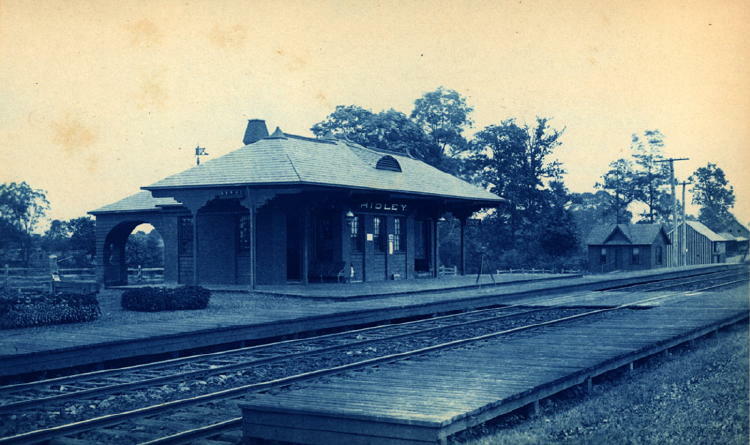 In addition to these three, Furness designed four other stations for the B&O's Philadelphia Division which were not included in the album (Bellaire Station, Chester Station, Frenchtown Station , and Newark Station) and the B&O's Pittsburgh Terminal.